Jerry Gadwa was fighting a wildfire in Ontario when he died. An Alberta firefighter passed away in Ontario where he had been helping fight a wildfire. 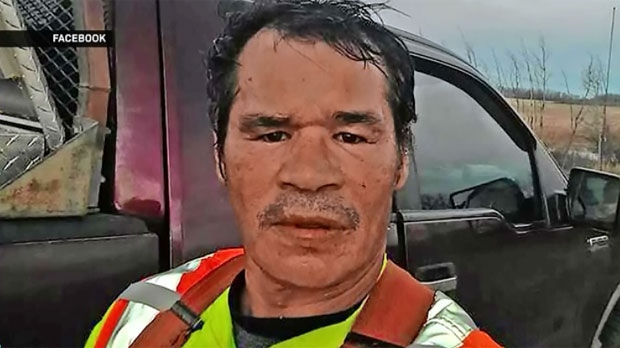 51-year-old Jerry Gadwa was in Red Lake, Ontario when he passed away on Thursday morning. The province isn’t saying how he died, but a relative confirmed that he had a pre-existing heart condition. 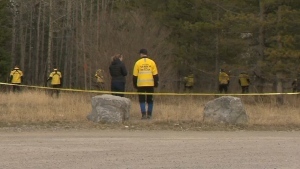 The death is being investigated by Ontario’s Forestry Ministry. Gadwa was from Kehewin Cree First Nation, near Cold Lake, Alberta. His family says he is being remembered as a loving and devoted father, a mentor and a passionate fire fighter. Alberta’s premier and the leader of the UCP are offering their condolences. In a release, Premier Rachel Notley said, “As Albertans, we know all too well the sacrifices of our firefighters and first responders. On behalf of the Government of Alberta, I want to offer our deepest condolences and support to the family, friends and colleagues of Mr. Gadwa.”. 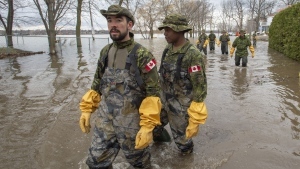 There are currently about 200 Alberta fire fighters deployed in other provinces to fight forest fires, the majority of which are in Ontario. There are 113 fires burning in northern Ontario with 13 of them burning out of control. 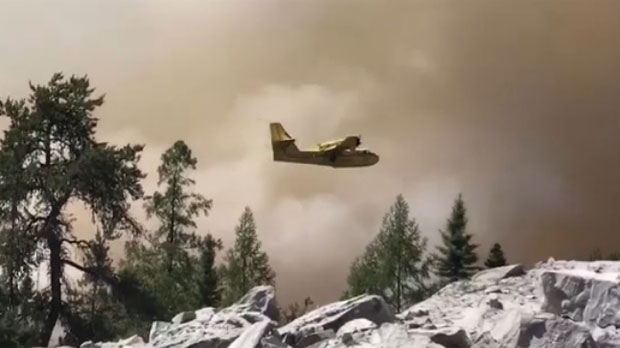 Water bombers are helping fight about 200 northern Ontario wildfires.